Homemaking made simple. Helping overwhelmed moms run their homes more efficiently! Organizing tips, planning and printables, routines and schedules to keep your home clean all the time. Plus easy recipes your kids will love. Mango avocado salad or salsa whatever you would like to call it is SO simple to make and super delicious! When I think of summer and feeding my family I like to keep things light. First of all, it’s so hot and second, it seems no one is very hungry around dinnertime. Maybe because all my kids do is snack all day. Does anyone else have this problem with your kids over summer break? I swear no matter how much I try they are always snacking! This is where my mango avocado salad comes in. I always keep a batch on hand in my fridge over the summer. Keep in mind avocados will oxidize a bit the longer it stays in your fridge. TIP- Adding slices of lime over the top when you store this it could help slow down the oxidizing process a little! My kids can grab a bowl for a snack, I serve it with lunch and it is perfect for a side dish at dinner. You can use this mango avocado salad in so many ways. Since we grill and BBQ a lot over the summer this goes great with hamburgers and hot dogs instead of your traditional BBQ side dishes. We use it in addition to taco night. And sometimes I will throw some on a bed of lettuce for a healthy lunch option! This mango avocado salad is so refreshing, light and healthy it really is the perfect go-to dish for the summer months. This BBQ Grilled Cheese is a perfect way to use up those left over babyback ribs for lunches the next day or make a dinner using them. I love cooking larger batches of meats just for this reason. It makes my weeks go so much smoother when I basically just revamp a meal we had the night before. The BBQ Grilled Cheese is a great twist on a classic grilled cheese that my whole family enjoys. Think pulled pork sandwich but even better with melted colby jack cheese (or any you like that is my fave) on buttery toasted bread! YUM! Flip the ribs over and remove the membrane skin from the entire length of the ribs. This is a clear membrane but once you begin to peel it up it should remove easily. Once the membrane is removed, flip the ribs back over and season with salt and pepper and blackening. 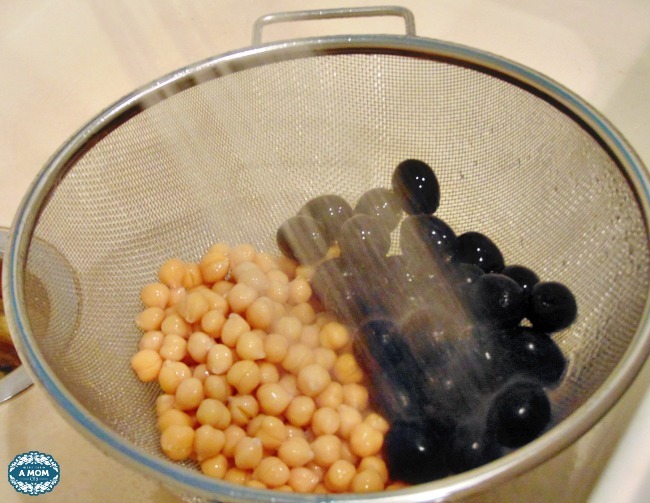 Fill a 9×13 baking dish with 2″ of water. You may need to cut the ribs in half to get them to fit in the pan. Cover the ribs with foil and bake for 2 1/2 – 3 hours. Remove from the oven. Now, this next step is optional but we finish ours on the grill. The ribs are already cooked so my husband heats the grill, throws the ribs on for a few minutes and slathers them with BBQ sauce. If you would prefer to not turn the grill on, simply move your oven rack to the 2nd or 3rd notch and turn the broiler on medium/high. Remove the ribs from the baking dish and place on a baking sheet. Slather with BBQ sauce and place under the broiler for 5-10 minutes to allow the BBQ sauce to crystalize. Remove from the oven a serve. If there are leftovers (we usually have leftovers because we make 2-3 racks at a time), simply remove the excess meat from the bones, place in an airtight container and store in the fridge for several days. Butter 2 outside pieces of bread. Lay one slice of bread butter side down in a frying pan. Add a heaping scoop of the leftover BBQ pork. Next, add a layer of cheese and then top with the second slice of bread, butter side up. Heat on the frying pan 5-10 minutes on medium/high heat until the bottom bread has browned. Flip and allow the other side to brown. 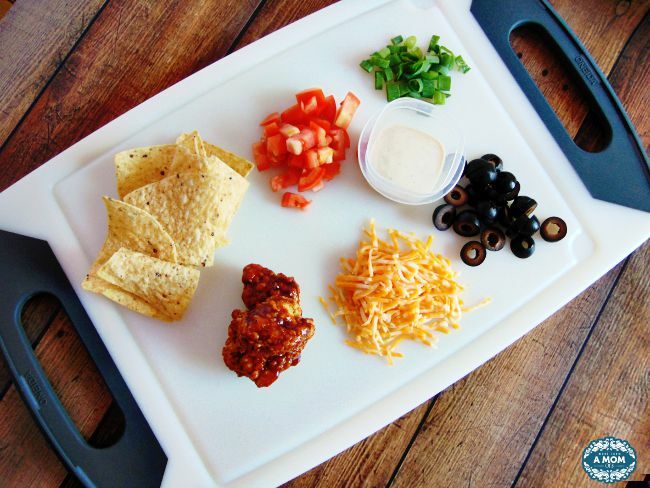 Remove from the heat and serve with chips and your favorite BBQ sauce for dunking. This simple yet classic Caprese Pasta In A Mug is so convenient to make since its all done in the microwave! Perfect for a quick lunch in under 10 minutes or dinner option if you are eating alone. Or if are serving hungry children in a pinch this is great! You know that child that does not want to eat what you cooked for dinner that night? Yup, I have one of those please tell me I am not alone here. I try not to make him another meal but there are some nights where I can not help it and I do not mind putting together this simple Caprese Pasta In A Mug dish for him. He loves anything with pasta. The ingredients are ones I always have on hand and I know he will eat it. Its a win – win on those nights where I just do not have the energy to fight with the dreaded dinnertime battle. Not lacking on flavor this delicious Caprese Pasta In A Mug is a quick take on the traditional classic in less than a quarter of the time to prep and enjoy! #1. Add the mini farfaille to your mug along with the water and a few drops of the olive oil (prevents sticking). #2. 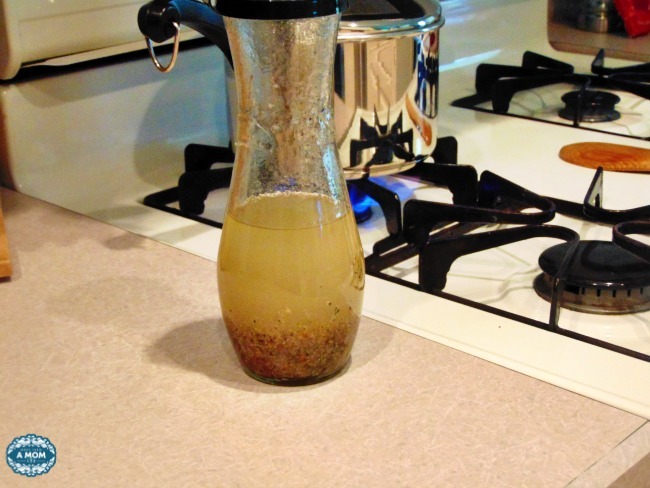 Heat the mug in the microwave for 2 minutes. Stir. #3. Repeat step two (2) more times, stirring after each round. Be careful in handling, as the mug will get very hot. #4. 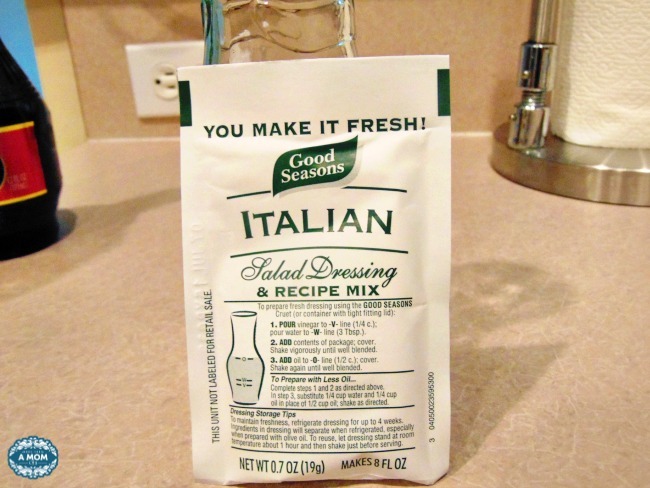 Add the fresh mozzarella, diced tomatoes and basil to the mug, stirring to mix all the ingredients together. Disclosure: I was provided the mentioned products to facilitate my review. All opinions expressed are 100% mine. As the summer is wrapping up here I am trying to to come up with some easy weeknight dishes I know my family would love. Not to mention my husbands favorite season is fast approaching. Football season. That means I need some delicious and simple dishes to feed a crowd too. 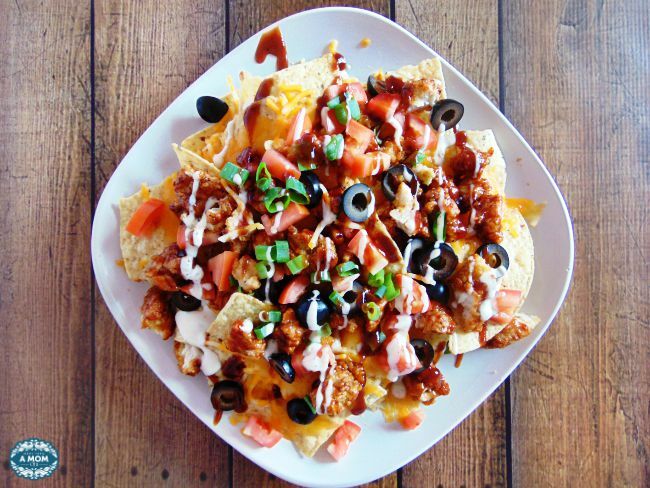 Nachos have always been a staple in our home. It’s easy, something you can make different ways and always a crowd pleaser. 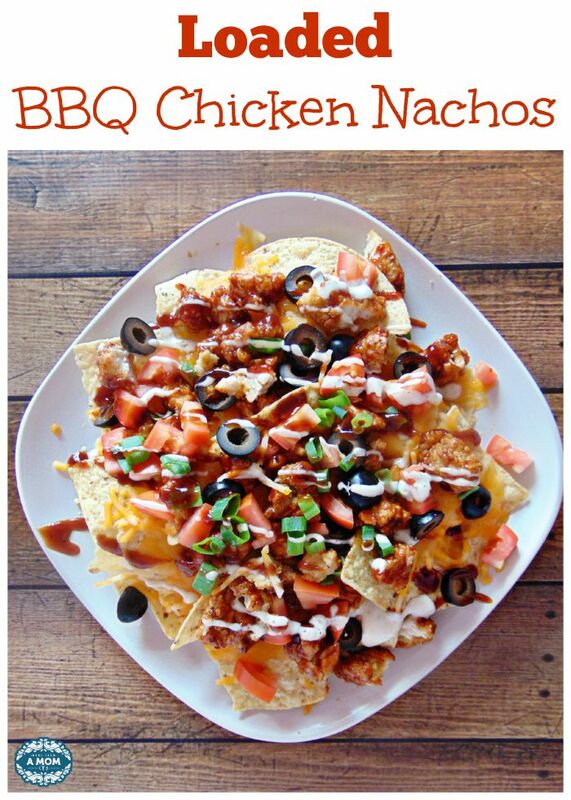 Today I have an amazing recipe to share with you , my Loaded BBQ Chicken Nachos. 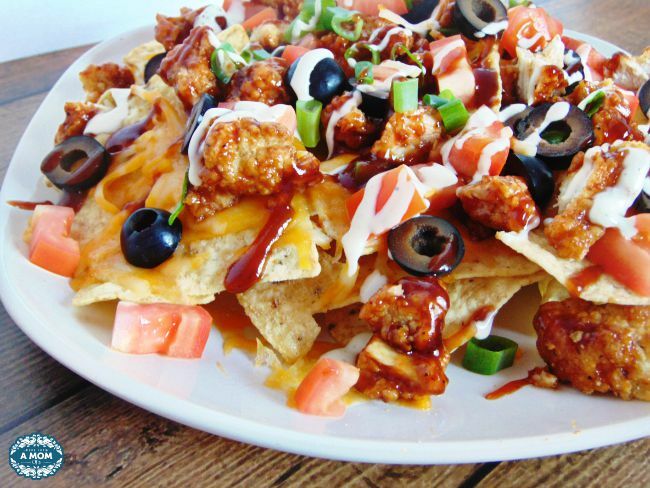 These nachos are smothered with Colby Jack cheese, sweet BBQ chicken, topped with garnishes and ranch dressing. This one was a huge hit with my family the other day for a simple lunch. As a busy mom I love using short cuts in the kitchen, especially for these busy weeknights ahead of me. 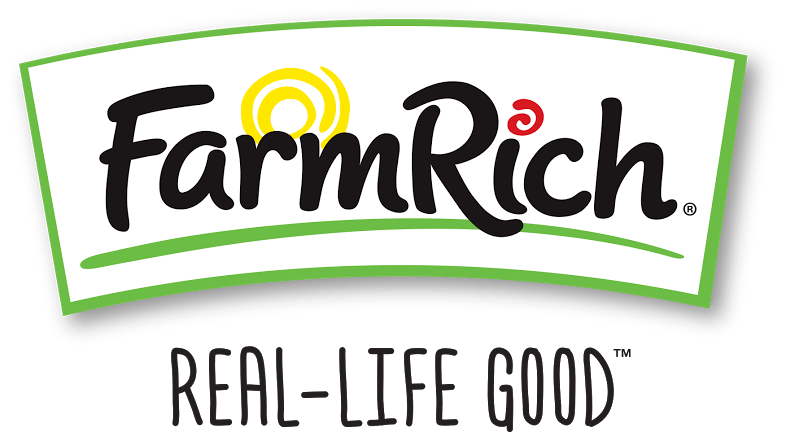 Farm Rich understands how busy we can be and helps to simplify our daily tasks, making “Real-Life Good“. Since their products are made with real ingredients I can feel good about feeding it to my family without the stress and mess of what’s for dinner. 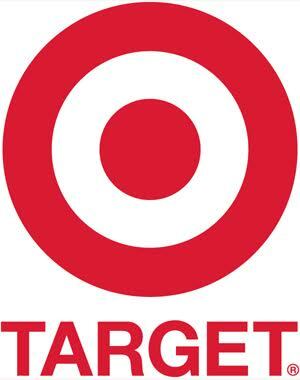 They are expanding their distribution and you can now purchase Farm Rich products at select Target locations! I was able to find mine at my Target location in Lake Worth, Florida. 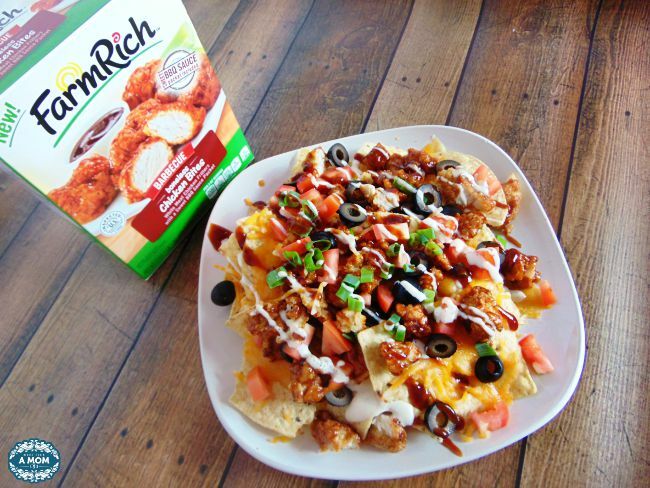 Want to make my Loaded BBQ Chicken Nachos for your family and/or try out the additional three Farm Rich products now being carried at Target stores (Mozzarella Sticks, Mozzarella Bites and Buffalo Wings)? Here is a $0.75 off coupon to use! 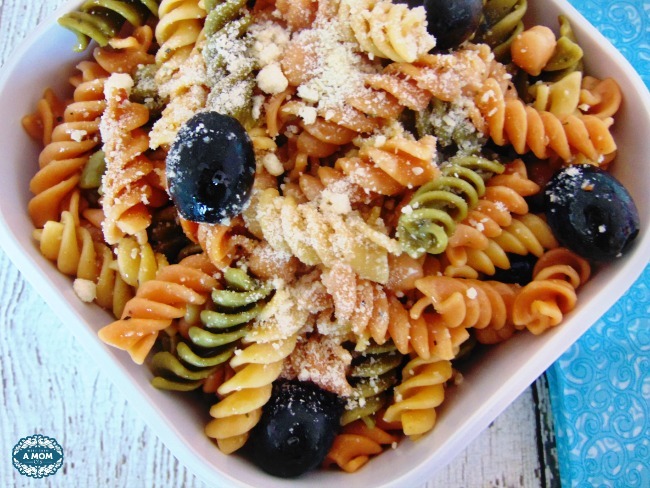 In South Florida I can make this simple summer pasta salad all year round but I tend to make it as a go to dinner in these hotter summer months for cookouts, parties and BBQ’s. Growing up in New York my mom made this for our family at every BBQ and summer event. It always was a huge hit and now a big hit with my kids. Most importantly all my kids eat it with out complaining. I love recipes where you can add a little bit of this and that you can customize to anyone’s taste. 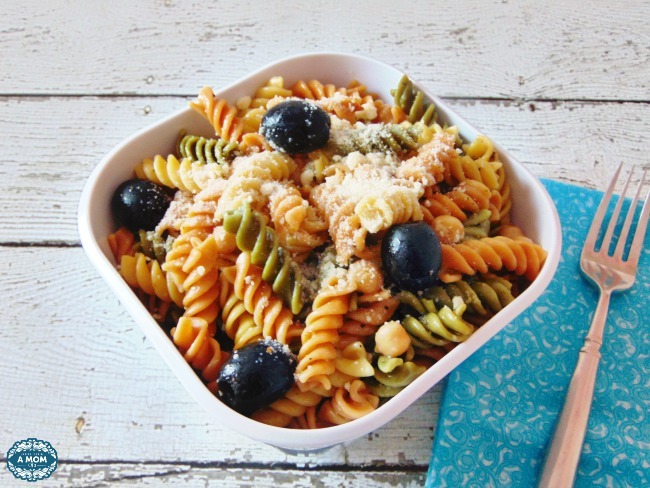 This simple summer pasta salad are mostly ingredients I always have in my pantry and if I am missing something I can simply omit it. I usually like to make it the night before and let it sit in a huge bowl in the fridge over night for the best blended taste. You do not have to think about dinner the following night or pair it with a grilled meat or sandwiches. I have made this for larger crowds and it doubles very easily! 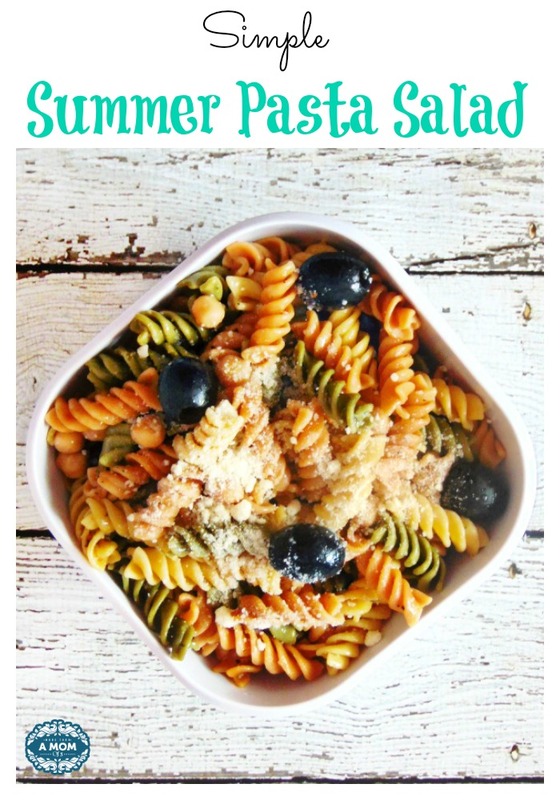 And there you have it – a super simple summer pasta salad! Enjoy! I have been on an avocado kick lately. The are perfectly filling and great for the spring and summer months since they are on the lighter side. Today I have these southwest chicken salad avocado bowls for you guys. They are AH-mazingly tasty! Plus the presentation is pretty impressive. I am all about dishes served in an edible “bowl” of some sort. It just gives it that extra something that especially when hosting an event its always a hit! This is a perfect example of a dish you can make ahead of time and “stuff” them right before your guests arrive or you are serving for a good old laid back dinner for your family. Since the next month is so jammed packed with end of the school activities, these southwest chicken salad avocado bowls make dinner so simple for me. Packed with flavor, I usually just serve these with yellow rice and beans on the side. 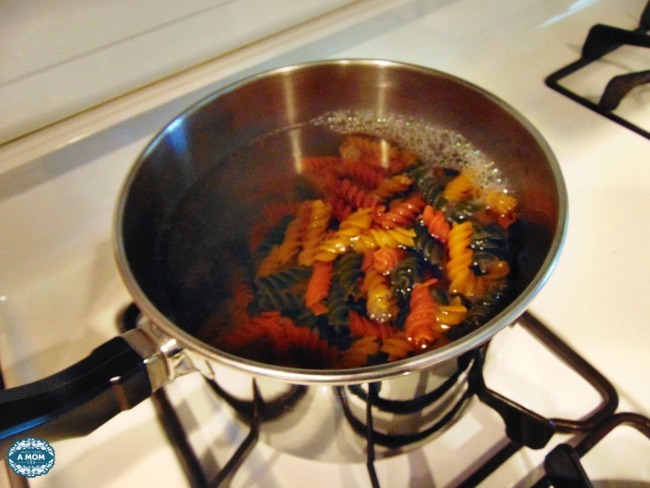 My kids and husband love when I make this simple summery dish. Shred your cooked chicken with a fork until you reach your desired consistency. 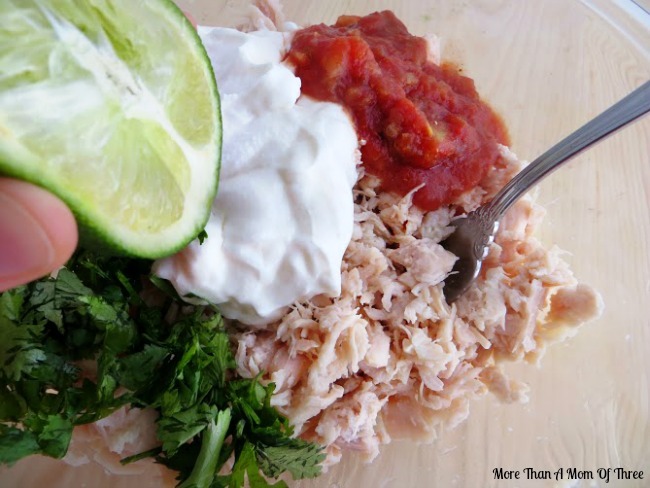 Fold the chicken, sour cream, salsa, cilantro, and lime juice together in a large bowl. Cover and refrigerate chicken salad for at least 30 minutes for the ingredients and flavors to blend well together, or skip to the next step to serve immediately but I find it tastes better when it sits for a bit. When you are ready to serve, slice the avocados in half lengthwise and remove the pit. 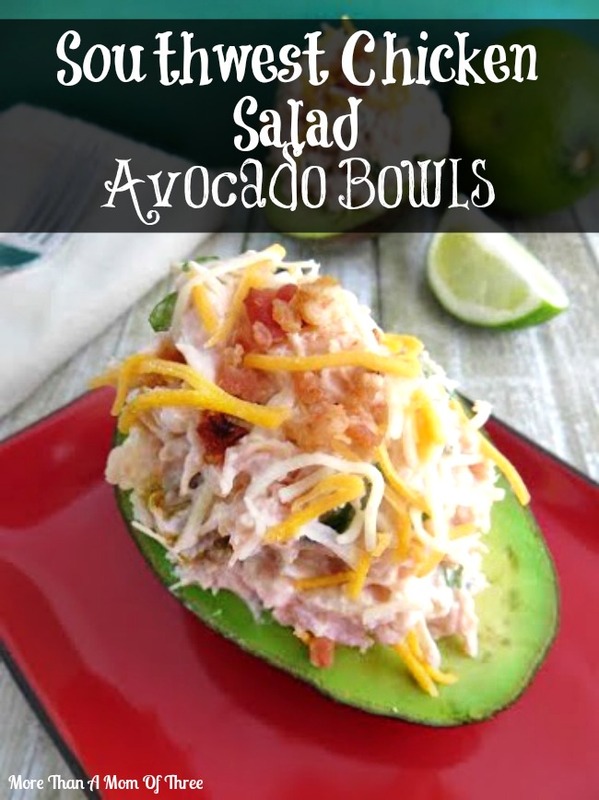 You use each half as a serving bowl per person, stuffing the chicken salad into the empty pit cavity and then mounding heaping spoonfuls over top of the entire surface of the avocado half. Optional: top your avocado bowls with shredded cheese and chopped bacon for an extra punch of flavor. Makes it extra delicious! Have you ever tried Southwest Chicken Salad Avocado Bowls before? Getting it done one day at a time with this free to do list printable. Sign up below for your downloadable copy.